I received an email from Dayton, OH's The 1984 Draft about a month ago, citing the band as being "recommended for fans of The Replacements, Beach Slang, The Smoking Popes, and Sugar." Beach Slang + Sugar = I'm listening; and within seconds, I was a fan. Sure enough, Makes Good Choices offers up 10-songs/30-minutes of catchy, heartfelt, well-produced emo/indie rock with a subtle, almost pop-punk-infused Americana twang. Set for an August 24 release on LP/CD/digital through Poptek Recs., Makes Good Choices may well land on my 2018 Year-End Favorites list. It's that good. The vinyl is up for pre-order now; and you can check out a few more advance tracks here, here, and here. I'm an utter sports idiot, but since your band name and some of your prior release titles nod to football, I'm curious about that connection, even though it doesn't particularly factor into your music. What's that about? The name is absolutely a sports reference. We are all pretty big football fans. Initially we were called "The 1984 NFL Draft," but then I quickly decided against it as not to be sued by the NFL. I am a diehard Nebraska Cornhuskers football fan. My parents are both from Omaha and my dad went to the University of Nebraska–Lincoln. I was born and raised to be a Huskers fan. For years, I thought it would be cool if I could somehow come up with a band name that involved the Huskers. One day, I came across the fact that the only NFL Draft where two Nebraska Cornhuskers were drafted #1 and #2 was the 1984 draft (Irving Fryar and Dean Steinkuhler). Most people ask if '84 was the great quarterback draft (Elway, Marino, Kelly, Eason, Blackledge), but that was actually the '83 NFL Draft. The name has served us pretty well, as we have been interviewed by Sports Illustrated and were included in an NFL Films documentary on the 1984 draft. That was a really cool experience that we wouldn't have gotten otherwise. Makes Good Choices doesn't include any sports-themed songs, but we do sneak them in every now and again. We've got "Scarlet and Cream Forever" (about my family and Huskers football) and "Straight Out of Will Compton" (about current Tennessee Titans linebacker/former Husker Will Compton) from the Bo Jackson Up the Middle EP (a Tecmo Bowl reference); and we have a longstanding live staple called "Legend" that is all about Bo Jackson. The song we're premiering today is "Wedding." Amongst many memorable songs on the new album, something about this one immediately jumped out at me during my first listen. Talk a little bit about this individual track, which was literally written the night before you were married, right? It was. We had just had our rehearsal dinner at Cracker Barrel (my wife absolutely loves Cracker Barrel, so I was all for the idea), and I was sitting at home waiting to meet up with two of my best friends from college. She came by the house to pick up a couple things since she was staying the night at a hotel with her family so I wouldn't see her until it was time to get married. When she walked out, I sat down on the couch and immediately started writing. It was quite possibly the easiest song that I have ever written in my life. I started with the first line and it just flowed from there. I just remember being overwhelmed by the fact that I couldn't believe this amazing, beautiful, kind, faithful, and awesome woman would ever want me to be her husband. I still feel that way. When I think about the album title and the song, I can honestly say that one of the best choices I have ever made was to let my guard down, let her in, and ask her to marry me. I know it's cheesy, but my wife is awesome and super supportive of me. She is a great mom as well. She probably deserves to have a triple-album written about how great she is. I can honestly say from the whole band's perspective, we all definitely married up with our wives. Without them, we wouldn't be able to do this. 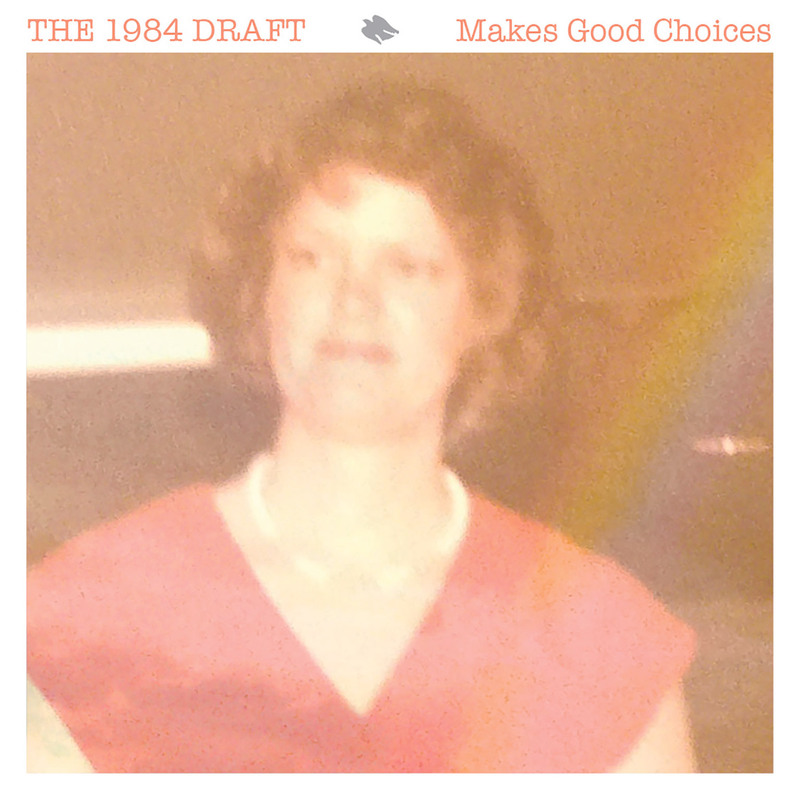 Makes Good Choices seems to encompass your biggest and best-sounding recordings to date. How did the studio experience differ this time around? I think the first difference here is that this is our first record with the entire lineup in place. We kind of dwindled with fill-in bass players for the past records, or didn't have a bass player at all. Chip [Heck, bass] joining the band I think tightened us a little and reigned me in a little more. I was afforded the luxury of getting to play guitar less or do more rhythms to free Eli [Alban, guitar] up to let his leads soar a little more. We've played most of these songs for a while, so we had a lot of time to let the songs breathe and figure out where to go with them. Our drummer, Justin [Satinover], is a master arranger, and between him and the addition of Chip, they were able to really use the rhythm section of the band to shape these songs with the appropriate punch. I am pretty lucky to have bandmates with such good ears for that. The other side of it was definitely working with Patrick Himes (recording/mixing) and Jake Bryant (mastering). Patrick is a genius in the studio. He has a ton of fun gear to play with and is wide open to ideas. In addition, he has the technical acumen as a musician to help make the ideas happen—for example, the organ intro on "Lisbon Falls." Jake gave the record the proper punch from a mastering perspective. Dayton, OH is really lucky to have such great resources to work with. Like The 1984 Draft, Poptek Recs. is also based in Dayton, OH. How did you hook up with the label for the release of the Makes Good Choices LP? Andy, who runs Poptek, has been a friend of mine for over 15 years. After we released Heisman Trophy Winner, he approached me about the possibility of doing the next record on Poptek. I half-thought he was kidding, because Andy has such a great ear for pop music and I never thought we fit that mold. I thought we were a little too loud, fast, and abrasive. Turns out, he wasn't kidding. We really couldn't ask for a better label partner than Andy and Poptek. He took a risk with us being his first vinyl release (Poptek is also releasing CD and digital versions of the record on August 24). I often describe Andy as a great multitool. He helped us to finance the record, has helped build out our web presence, developed a slick and easy to use press site, helped layout the album cover, has done poster work for us, etc. This really is a partnership where we are all working together to take this wherever we can. It's very organic, D.I.Y., and it's fun. In addition, Poptek has put out some killer records by Kris N., Second Best, The Florals, Jill and Micah, etc. Every band is a little different, but the end product is always great. Beach Slang comes up a couple of times in the press bio promoting Makes Good Choices, and this is definitely the type of album I could see catching on and appealing to that audience, absolutely. Do you have any wider plans for the future beyond the string of Ohio-area shows promoting the new release? I love Beach Slang, no doubt about it. I actually had the chance to open for them in Portland, ME two years back, which was a trip in itself. Those guys and gals have been super supportive of The Draft, and I am very thankful for that. As far as the expansion, we are pretty much open to anything, but we are a little bit more choosy in our age and phase of life. Chip and I both have relative newborns (under the age of 1). We all have wives and kids. We like to be smart about how we use our free time and how we approach the band. We are always open to offers, and if we can make it happen, we do. We will obviously spend a lot of time over the next year hitting anything within driving distance that we are offered. We want people to hear the record. If that means recording 100 podcasts, sending out 1,000 press kits, soliciting every radio station we can find, and playing every show we possibly can, we will do our best. So, the short answer is: yes, we are in the process of working out the details of all of it, and hope to hit more towns very soon. We are thankful for outlets like Aversionline being willing to take a chance on a band like us and share our music so that some more of those opportunities come our way. Makes Good Choices is now available for pre-order on LP. Otherwise, keep an eye on the Poptek Recs. shop and your streaming outlets of choice, because CD and digital releases are also planned for August 24.